The greatest dangers hide the brightest treasures in this bold, planet-hopping science fiction adventure series. The crew of the legendary Capricious are rich enough to retire in comfort for the rest of their days, but none of it matters if the galaxy is still in danger. Alex White was born and raised in the American south. They take photos, writes music, and spends hours on YouTube watching other people blacksmith. They value challenging and subversive writing, but they'll settle for a good time. Alex lives in the shadow of Huntsville, Alabama's rockets with their spouse, son, two dogs and a cat named Grim. Favored pastimes include Legos and racecars. They take their whiskey neat and their espresso black. "Racing! Treasure and smuggling! 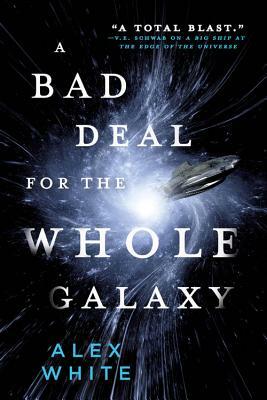 A Big Ship at the Edge of the Universe is a gripping quest for justice among salvage and magic--I really loved it."